Mix and mingle - snack and shop at next Turbo Tea Party in Downtown San Jose! 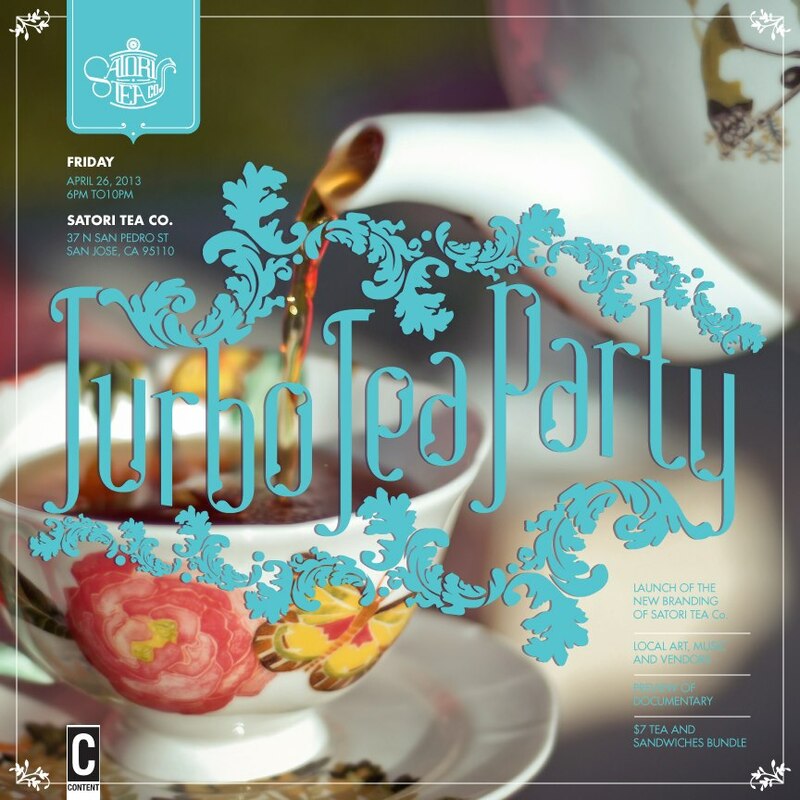 I didn't attend previous Turbo Tea Parties but I plan on attending this one - and why not? Music, delicious tea and goodies, art, and vendors? Sounds like a swell evening to me. Turbo Tea Party is back! This variety show will have art, vendors, and live DJ music by DJ Coco and DJ Tumbleweed! If you do want to buy tea and food.. the bundle price is $7 for all you can eat and a cup of tea. For $3 more you can purchase a Content Magazine in the bundle! The event will be hosted at Satori Tea Company! In addition: the launch of Satori's Website and a preview to their documentary! Spread the word and invite many people to help support the Bay Area community!! Turbo Tea Party will have opportunities to build connections and have a great time!